Q&A with R&A - Should I just put all of my money into passive investments? 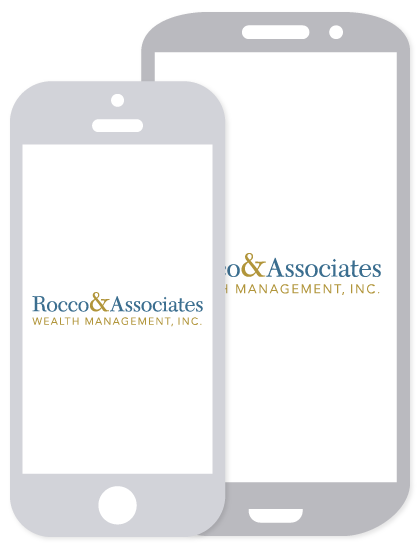 | Rocco & Associates Wealth Management, Inc. The short answer is “no”, but the reasoning is a little more complicated. Unfortunately, like most things in life, there is no one right answer to investing. However, when the market continues to act the same way over time, investors start to forget it ever did anything else. Would you be surprised if I told you that we are in the second longest bull market in history? Or that the market is up 177% since June of 2009? While these numbers have been great for all of us, it is important to remember that nothing is permanent. To give a little background to the question, I want to briefly explain the difference between active and passive investing. Active investing is when the investment vehicle you choose has a portfolio manager who is actively reviewing the portfolio’s holdings and looking to outperform their assigned benchmark. A benchmark is what the manager will compare his or her performance to, which, for a portfolio of stocks, is often the S&P 500. Conversely, passive management is when the investment vehicle you choose does not have a portfolio manager, but instead tries to mimic the assigned benchmark. This approach generally has a lower cost than active management and decreases the risk that you will underperform the index (because you track it). Today there is a great debate between active and passive disciples, with intelligent people on both sides claiming that their solution is the right answer. But as we said before there is no one right answer to investing. We believe that a mix of the two is the best way to take advantage of the strengths of each approach. 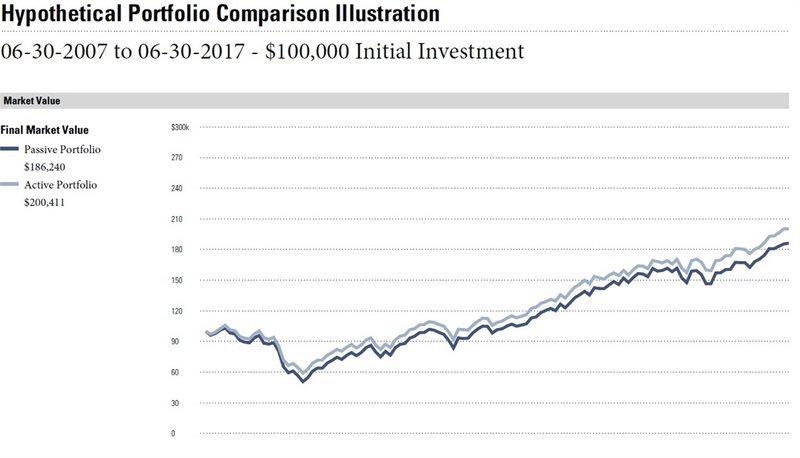 For example, had you invested in a mix of passive investments in June of 2009 you would have outperformed a portfolio of actively managed investments over that same time period. 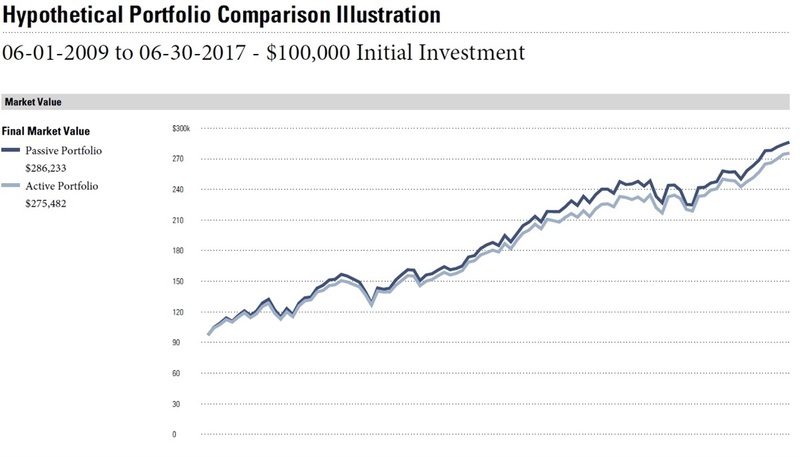 Conversely, if you had invested in those same two portfolios in June of 2007, just before the financial crisis, the actively managed portfolio would have outperformed. Why? Because, in theory, active management has the flexibility to be more defensive then an index (e.g. an active portfolio manager can sell out of the market and hold cash), which can potentially reduce risk on the downside. However, on the upside, passive index investments can ride the upswing with minimal cost. Instead of trying to prove that one approach is better than the other, we have done what we have been doing in our clients’ accounts for years; diversify. But instead of diversification between stocks and bonds, or U.S. and international markets, we are diversifying between active and passive management. Further, our trading technology allows us to weight portfolios more heavily active or more heavily passive based on where we are in the economic cycle. If we feel that a market downturn is more likely, we invest more in active management and vice versa. In addition, there are some sectors, like bonds, where active management is proven to be more effective in the past. So by balancing the two forms of investing by where we are in the market cycle and by which sectors are better suited to each type, we can help give our clients the upside of passive investments, with some of the downside protections of active management. All while potentially helping to reduce the overall cost of the portfolio. In short passive management is not inherently better then active management or vice versa, they are both investment tools that should be utilized in a well-diversified portfolio to help increase returns, potentially limit volatility and lower risk. If you have questions about how your portfolio is invested, or if you think more active or passive management is needed with your investments, don’t hesitate to give me a call to discuss! The opinions voiced in this material are for general information purposes only and not intended to provide specific advice or recomendations for any individual. All performance referenced is historical and is no gurantee of future results. All indicies are unmanaged and may not be invested into directly. The economic forecasts set forth in this material may not develop as predicted and there can be no gurantee that stratagies promoted will be successful. There is no gurantee that a diversified portfolio will enhance overall returns or outperfom a non-diversified portfolio. Diversification does not protect against market risk.